Naturally beautiful in nature. The high-quality traditional bodice from Kruger is a dream in nature. The traditional garment is decorated along the neckline with filigree borders and ruffles. A touch of romance is provided by the fabric strewn with roses in the centre of the bodice. 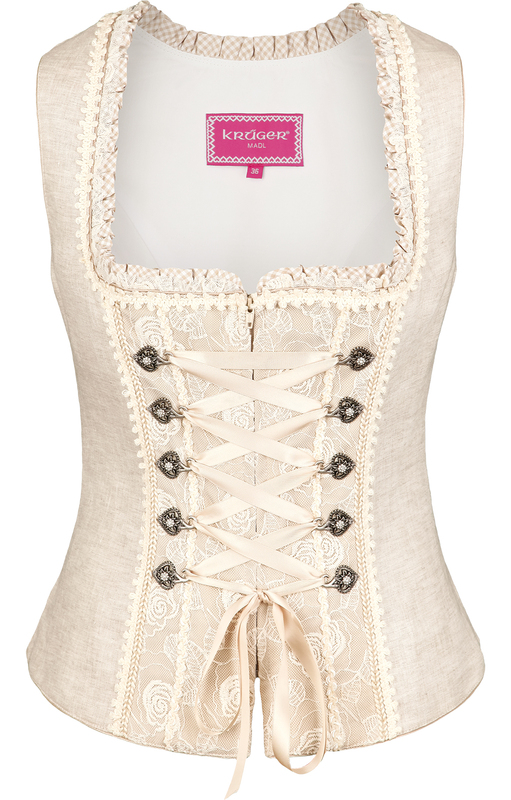 The look is completed with a romantic, running through heart-shaped hooks, bodice lacing. The simple and elegant style of the bodice can be combined as you wish.